Pope Francis I is poised to be more than a very popular pontiff . . . He could rise to become a symbol of holiness beyond the Catholic Church. . . . for those of us who aren’t Catholic, there’s a universal message voiced personally by the Pope: “No one can be excluded from God’s mercy. The question, then, is how potent this mission will be. I hope in a corner of my heart that Francis I can open himself to a kind of Super-ecumenical position, not only allowing that other faiths have validity, but seeing that the Eastern tradition of higher consciousness is in fact universal. . . . we must be realistic. Spiritual experiences occur in consciousness. . . . There is no reason to reject meditation as “not Christian” when the point is that meditation, among other contemplative practices, alters brain function. In so doing, specific regions of the brain are trained to register subtle perceptions. The deeper your perceptions, the more subtle the levels of reality you are comfortable with. At the deepest level, we encounter the entire history of spiritual awakening, which is the opening of the self to the self through expanded awareness. . . . If we are in fact witnessing the career of the most conscious pope in modern times, let him tell us more about consciousness and the spiritual fulfillment it contains. 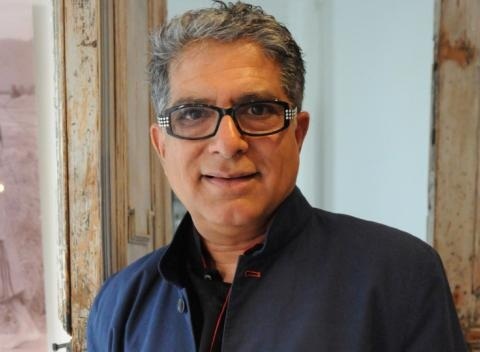 Deepak Chopra and many other are hoping that Pope Francis will be that one who will bring the entire world into “superconsciousness” (the realization that man is divine). Remember the Parliament of World Religions this past fall that Lighthouse Trails reported on (see links below). It was a New Age/New Spirituality gathering of emerging church leaders, New Age leaders, Eastern religious leaders, and others who were looking for a “Coming Messiah” as Alice Bailey “prophesied” who could save the world. And who was the figure everyone was talking about at the Parliament with enthusiasm and hope? None other than Pope Francis.